Implementation of the FSDF will be guided by spatial information management policies that define a common approach to management of national-level spatial information. 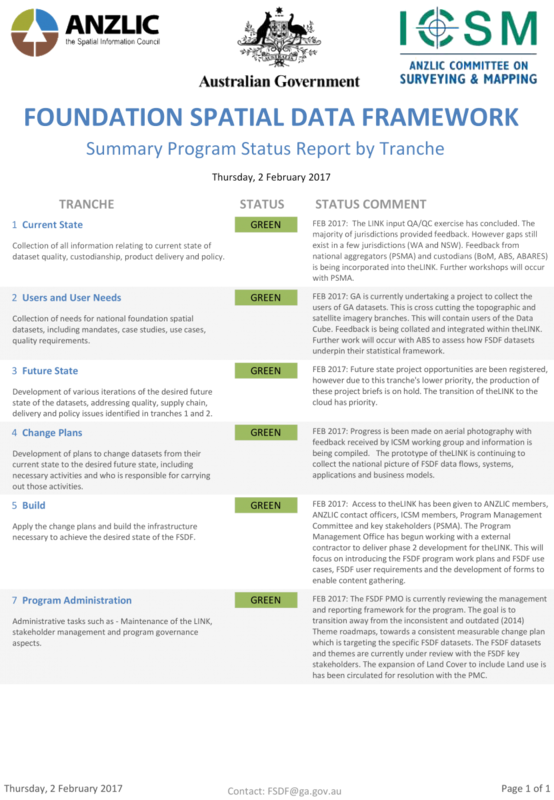 An overview of the policy documents provides guidance on their application and governance. The policies have been developed in consideration of the broader national information management and policy environment, and explain the impact of legislation and policy covering privacy, security, intellectual property including guidance on licensing. The FSDF relies on the adoption of international standards and their application across multiple jurisdictions and agencies will require a major coordination effort. Custodianship and the foundation spatial data framework describe the structure and management arrangements for the FSDF and its data. The access policy defines the current and aspirational frameworks for user access to the information given the evolving supply chain arrangements for source data. It also acknowledges increasing demand to make government-held data open and free to the end user and the increasing use of digital service delivery. The FSDF is a program to improve access to and use of national spatial data. Existing foundation spatial data will be evolved and new data created to meet user needs. Spatial data at the national level is usually the combination of local and regional datasets forming a supply chain between data custodians, aggregators and information brokers. Modelling this process is central to its improvement and also builds agility by allowing new data products to be developed in response to user demand. Adapting best practice from the European Union's INSPIRE initiative, FSDF is developing models for the data that will enable effective production, maintenance and evolution of suites of interoperable, standards based foundation spatial datasets. 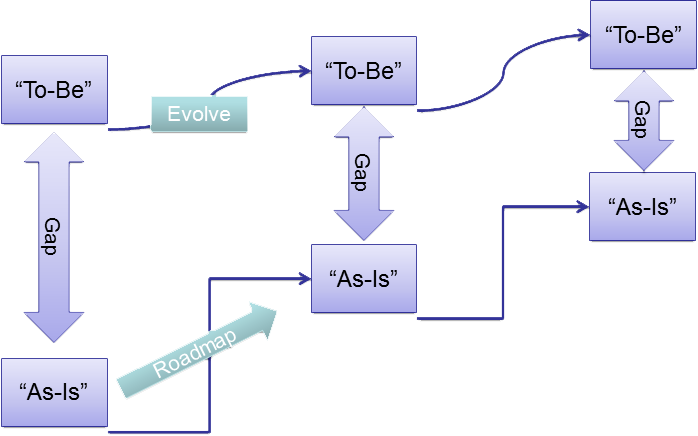 For each of the ten FSDF Themes, the current state of foundation spatial data – the 'as-is' situation – has been documented, as well as the future spatial data needs – the 'to-be' situation. From this starting point, roadmaps have been developed with stakeholders (data custodians, users, etc) to close identified gaps between current state and future needs. This process is depicted below. The process needs to be iterative, to account for a changing 'to-be' state that will evolve due to the impacts of technology and changing user needs. Modelling is part of the broader data specification framework that is being developed for the FSDF. This document [FSDF Data Specification Framework] describes the proposed data specification framework. It explains the role of the spatial information modelling in the context of spatial information supply chains, describes the modelling process and presents a proposed FSDF data specification framework. These models can also be viewed from the model registry further down.. Formal information modelling using Unified Modelling Language (UML) provides a standardised approach to data specifications for those responsible for developing, maintaining or delivering foundation spatial data, as well for end users of the data who wish to understand the data they are using. Efficiency – enabling the evolution of existing supply chains to more efficient approaches that reduce production and use costs by increasing automation, machine to machine interactions and the delivery of smarter, timelier spatial products via Web services. 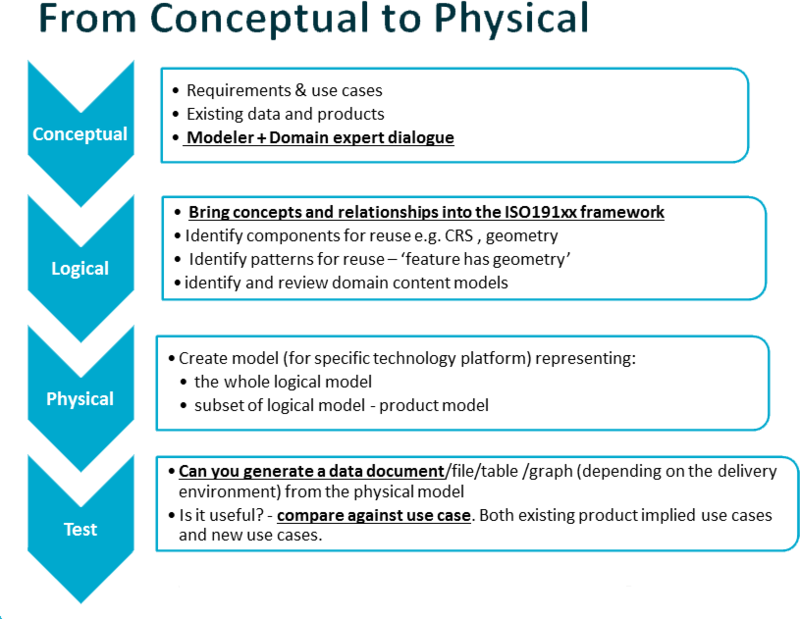 Furthermore, various descriptions, such as feature type catalogues, data dictionaries and ontologies, can be generated directly from information models. There is an increasing need to deliver this kind of metadata in reliable, machine readable formats, particularly as spatial data is delivered into a semantic Web. The modelling approach, which places the structural definition of the information at the centre of the design process, is known as Model Driven Architecture (MDA) and has been used successfully in information technology for many years. Over the past decade, INSPIRE has undertaken an ambitious information modelling process to enable exchange of spatial data between EU Member States, based on agreed exchange standards. These were defined in information models, together with technology standards for data discovery visualisation and access. Documentation and evolution of the ten themes of foundation spatial data are supported by INSPIRE modelling approaches, modelling tools and methods developed by the CSIRO, and experience gained through the development of significant national and global spatial data standards. Conceptual modelling – development of abstract conceptual models that are used to define the concepts and relationships that are of relevance to the theme. This process is guided by use cases and involved modellers and domain experts. Logical modelling – in this step abstract concepts and relationships are expressed using the framework established by the ISO Geographic Information standards. This is fairly specialised activity undertaken by expert modellers. Physical modelling – the logical model is used as the basis for generating a model for a specific technology pattern e.g. an ESRI geodatabase, or GML. This activity is typically undertaken by engineers who are responsible for developing and delivering data products. Testing – Finally, the model is tested by generating a sample data product (e.g. a file, table, graph). Data from an existing dataset can be used to populate and test the new physical model. The products is tested against all relevant use cases to ensure it is fit for purpose. models and vocabulary governance – the roles, processes, rules and mechanism for the governance of models throughout their entire lifecycle from creation, publication, use and retirement. 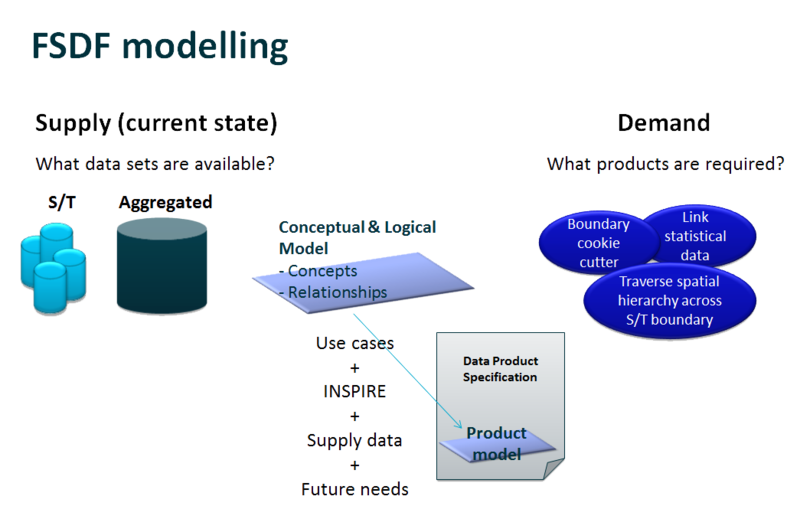 Modelling is at the heart of the data specification process which incorporates product design and implementation. The framework of interconnected models defines information standards for the FSDF. These include ISO TC211 standards used in the FSDF initiative; standardised concepts and relationships within domains (FSDF Theme standards); and standardised application schema for FSDF products including data exchange schema within FSDF Themes. The FSDF has a federated governance model, with ANZLIC acting as the overall authority and theme sponsors appointed with responsibility for specific themes. Within each FSDF theme, foundation data products have been identified, each of which has a custodian. Model governance will reflect these broader FSDF program governance realities with models of different scope being assigned to ANZLIC (FSDF common models,) FSDF theme sponsors (for FSDF theme models) and FSDF product custodians (for FSDF data product models). Likewise, vocabulary governance will need to be addressed in a federated manner reflecting the realities of the ownership and custodianship of vocabularies. A model registry has been established for the FSDF. A registry is a system that enables the governance of models and allows them to be managed through their entire lifecycles. The Sparx Systems Reusable Asset Service has been used as the software platform for the FSDF registry. 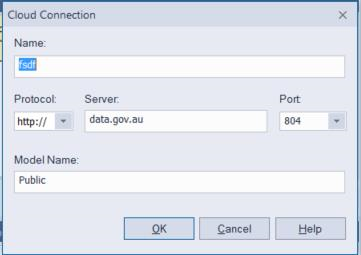 The registry currently contains, FSDF Core Common models, FSDF Admin Boundary Theme models and FSDF Placename Theme models, together with some models that describe the context of the FSDF. It is anticipated that additional registries will be established for vocabularies such as FSDF glossaries and the classification schemes, and code list used in foundation data products/sets and the metadata that is used to describe them. 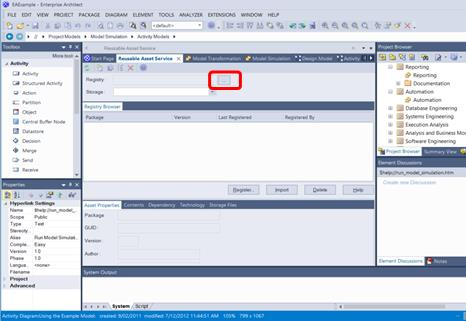 To connect to the registry Sparx Enterprise Architect version 12 is required. 'FSDF – Schema': A separate list of all the individual FSDF Application Schema and a package of dependent ISO Application Schema. 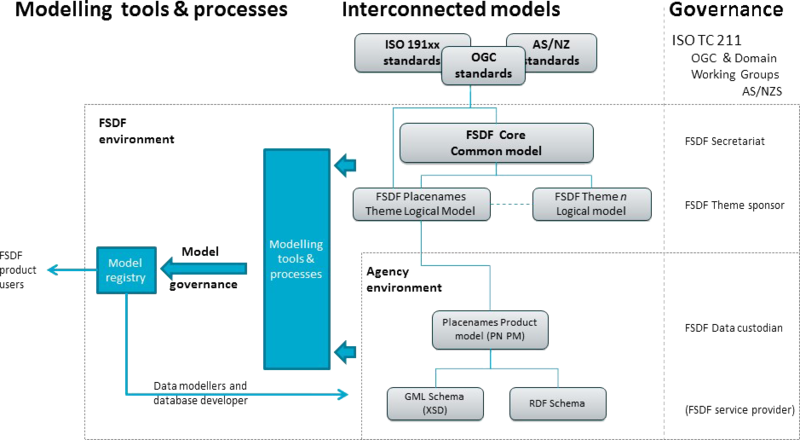 'FSDF – Documentation': A copy of the complete 'Foundation Spatial Data Framework Model' and dependent ISO as separate schema. These can be imported into users EA projects using the import function.